A typical day at the Dachshund Delights office. 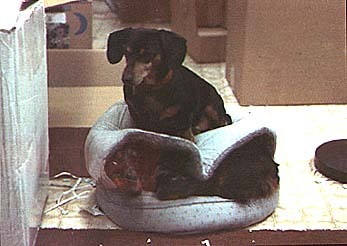 PeeWee (on top) wanted this bed! Stubby was oblivious and Rhett? Rhett's somewhere in the bed BEHIND Stubby!